Nmap is an open source security audit tool that is used by most security experts and network engineers. Port scanning and packet sniffing are two commonly used features of Nmap. It is a command line tool that requires minimal setup. Though this tool has loads of information, anyone can start learning to use it very easily. NMap is very simple to use and easily available in all popular platforms, therefore many hackers and security professionals love it. 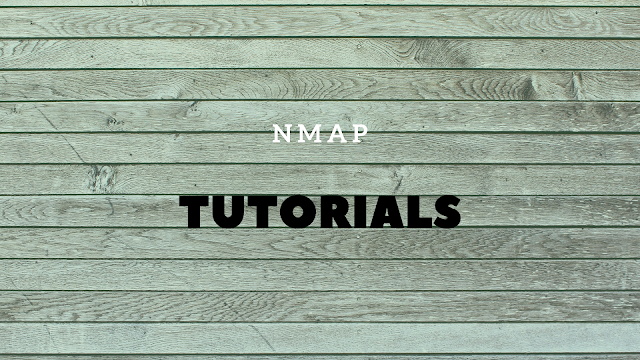 This article has a big list of courses and tutorials for beginners to learn Nmap. These simple tutorials can be handy for beginners to start learning NMap. You can start small and do a simple exercise using these tutorials. Video tutorials can help you easily get a feel of classroom learning. These youtube playlists and courses can be really handy learning nmap commands and tricks. These cheat sheets and references can help you quickly refer to any command option for nmap. You can print a favorite cheat sheet and stick it on your desk for regular reference. nmap(1) - Linux man page -Linux Man page on the web for NMAP command. Online Port Scanner Powered by Nmap | HackerTarget.com -A simple utility to run the namp online on any IP address. Nmap Tutorial: Common Commands -A simple tutorial with common commands of nmap - can be used as a handy cheat sheet too. How to Use Nmap: Tutorials for beginners (cheat sheet included) -Tutorial with a cheat sheet included at the end of the page. These eBooks and PDF can be easily downloaded from below links for offline reference. These are some options to get more help and the latest information on nmap. GitHub - nmap/nmap: Nmap - the Network Mapper. Github mirror of official SVN repository. Hope you find this page useful. Please share it with your friends to spread the word.